So what’s the big deal here? Doesn’t everyone want to have their products carried in the world’s biggest online store? The problem that Amazon is running into is that the world’s luxury brands are saying that Amazon’s online marketplace undermines the strict controls that the luxury brands believe are key to their ability to make their products exclusive – and keeping their prices high. Yes, some luxury brands have joined with Amazon in order to get their products listed on the site; however, the really big names are all currently sitting on the sidelines. That’s not going to look good on anyone’s product manager resume. The fact that they don’t currently carry any high-end goods on their site has created problems for the Amazon product managers. Amazon, the company, would very much like to find a way for them to be a significant force in the fashion industry. Amazon has been working to make this happen for years with very little to show for their efforts. There are very few luxury goods available on the Amazon website right now. Amazon wants to sell luxury goods because it will help to boost their margins and it will build loyalty with their higher margin Amazon Prime customers. The Amazon product managers have not been idle. Instead, they have been spending their time investing in the fashion industry. One of the things that they have done is to open a very large fashion photo studio which is located in Brooklyn, New York City. Additionally, they have started Amazon’s own private label brands. In order to get the word out about what Amazon is doing in the fashion market, they have sponsored events such as the Met Ball which was held at New York’s Metropolitan Museum of Art. A portion of the Amazon web site has been turned into a luxury goods storefront in order to attract customers who might be looking for high-end brands. The big problem that the luxury brands have with Amazon is that the small sellers who use the Amazon platform to sell their products may be selling knock-off or counterfeit luxury items. Amazon has dealt with this issue before. They have been able to convince some of the biggest lifestyle companies to sell their products on Amazon by promising to take action against unauthorized retailers. As an example of what Amazon has been able to accomplish, Nike has agreed to make some of their products available in the Amazon store. In order to make this happen, the Amazon product managers had to agree to do some policing of their web site and look for fakes. However, so far Amazon has only been willing to do this for the largest brands. The Amazon product managers are facing a real dilemma here. The product managers do want to stop the sale of counterfeit goods on the Amazon site. However, what they don’t want to do is to stop legitimate goods from being sold outside of the limited distribution channels that the luxury goods manufactures want to impose on the world. The third party sellers who are offering these goods are partially responsible for Amazon’s ability to keep prices low. It the sales of these legitimate low cost goods that Amazon doesn’t want the luxury goods manufactures to interfere with. Amazon is not taking the problem of counterfeit goods lying down. In order to be able to attract more luxury brands to the site, Amazon has implemented a system that constantly scans and blocks attempts to list counterfeit goods. Amazon has also implemented a program that requires third party providers who want to sell goods on the Amazon site to produce paperwork that shows that they legitimately purchased the products that they will be selling. 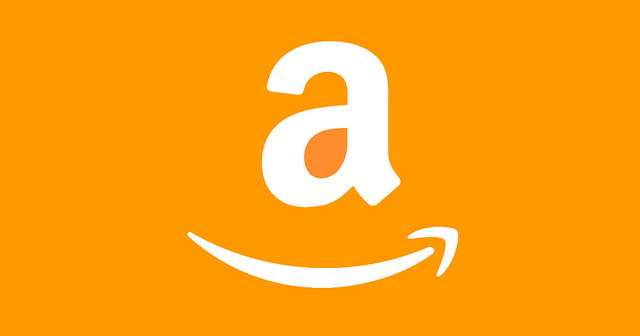 In order to help make the luxury manufacturers more comfortable using the Amazon site, the Amazon product managers are willing to give these companies access to special tools that allow them to search both text and images on the site and permit them some control over listings on the site. The product managers at Amazon have a problem on their hands that is not covered in their product manager job description. For all of the products that the world’s largest online store has to offer, the one area where products are conspicuously missing is the luxury goods area. The Amazon product managers have been trying to reach agreements with the big luxury brands over the past few years, but they just have not been able to do it. The problem that the Amazon product managers have been running into has to do with counterfeits and knock-offs. The luxury brands want Amazon to become aggressive and prevent any third party resellers from offering these goods. Although Amazon is willing to take action against anyone who is offering counterfeit goods, they are unwilling to take action against people who are selling legitimate products through non-traditional channels. Amazon has gone ahead and implemented a system that scans what is on their shelves looking for counterfeit goods. Additionally, they are willing to make their counterfeit hunting tools available to luxury goods manufacturers. The Amazon product managers have to find a way to meet the needs of the luxury goods manufacturers if they want to have any hope of being able to sell their goods on the Amazon website. These manufactures do want to gain access to Amazon’s customers, but they also want to make sure that their products remain “special” and that they can continue to charge high prices. There is a bridge between these two worlds. The Amazon product managers are going to have to either find this bridge or build it themselves. Question For You: What would be the best way for the Amazon product managers to get third party firms to stop selling counterfeit goods on Amazon? Just imagine if you were a product manager at Amazon. What would one of your biggest challenges be? There’s no problem with Amazon having what your customers want – Amazon is huge and they’ve got a lot of warehouses. No, your biggest problem would be just exactly how you were planning on getting what your customer has ordered from your warehouse into their hands. Like a million times a day. Good news. Amazon thinks that they may have found a solution to this problem: hub.